We have beautiful, friendly, Vet checked kittens available in October. Pictures available this weekend, hopefully. If you would like to come and meet them, please call Tamsin at 250-920-0398 and tell us about the home and what you are looking for in a kitten. We want to make sure everyone is happy and that our kittens go to forever homes. February 2, 2015 – 2 new litters any day! Charlie and Molly’s kittens are all spoken for, but there are two more litters on the way. 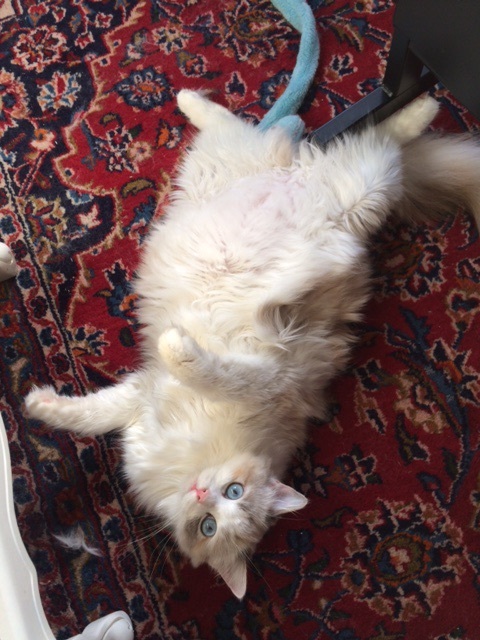 Hazel looks like she will give birth any time. 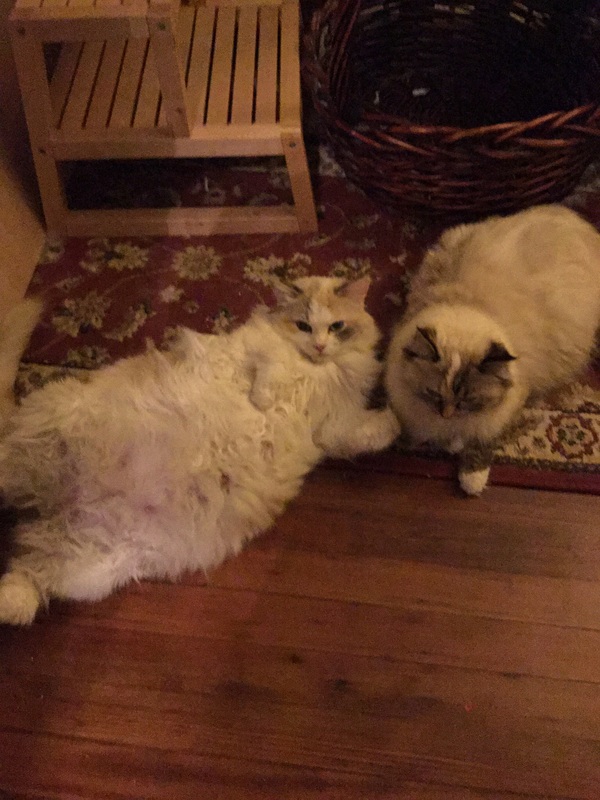 Poor kitty is HUGE. Charlotte, on the right, is a little bit behind. 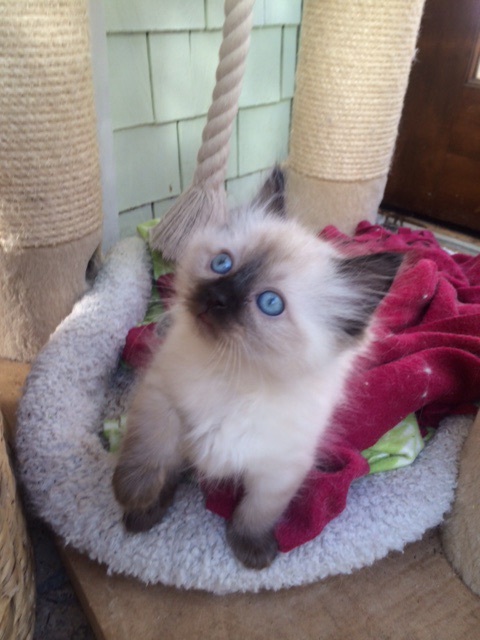 October 3, 2014 – New Kittens! 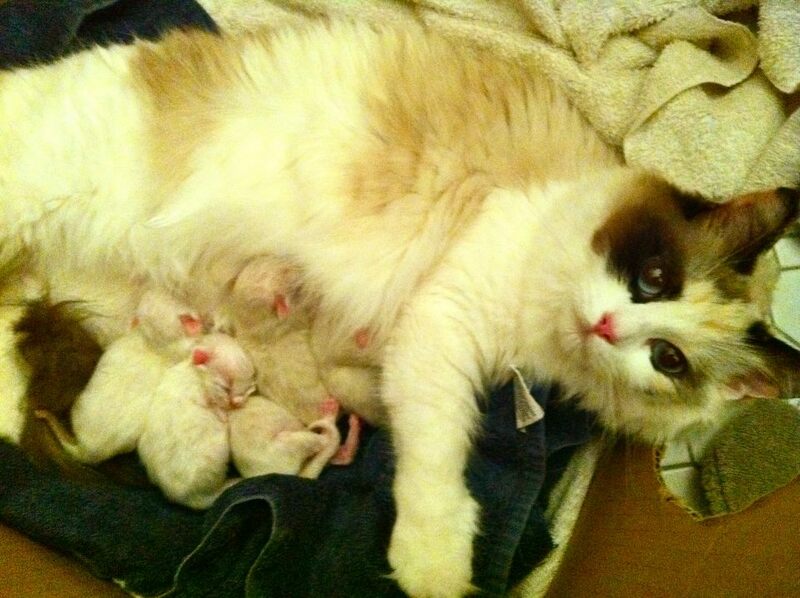 Our new Kind and Queen, Charlie and Lily have had their first batch of kittens on September 6, 2014! They are adorable! Lily is the daughter of now retired Timothy. Charlie came to us from Whiterock Rags and has a wonderful personality. The kittens will be ready to go to their new homes at the end of November, but we are now accepting deposits. The kittens are $700 each and come with their first shots, vet check-up and kitten kit.